"Inner work life is the confluence of perceptions, emotions, and motivations that individuals experience as they react to and make sense of the events of their workday…. Vern Burkhardt (VB): What led to your interest in the 'inner work life', and to coining this term? Teresa Amabile: At the time I started thinking about this research program, I'd been researching creativity and innovation for about 25 years. I knew that intrinsic motivation was an important determinant of creativity, but I didn't think about other psychological states that could impact creativity. As I spent more time studying people working on creative projects inside companies, though, I realized that emotions and perceptions were a big piece of the puzzle. I decided to go after those pieces, and put it all together. We coined the term inner work life because it's hidden away most of the time. In most organizations, there are strong norms against showing what you're really thinking and feeling when something happens, especially if your reactions are negative. For example, most of us have been in a meeting where a higher-status person says something so outrageous that we're momentarily stunned. But, as appalled as we might be, few of us say what we're thinking, or even let it show on our faces. VB: You say that the inner work life system, which is composed of perceptions, emotions, and motivation, reflects how our brains work. What is the implication of this? Teresa Amabile: The main implication is that inner work life and its effects are a fundamental part of human nature. If we want high performing organizations, we cannot ignore it or wish it away because it is messy or difficult to manage. People's perceptions, emotions and motivations are an inevitable part of work life, and their effect upon performance is also inevitable. VB: "Creativity, productivity, commitment, and collegiality are all higher when the three components of inner work life are positive." Were you surprised that your research found there was a 50% increase in the odds of having a creative idea on days when people were in a positive mood? Teresa Amabile: We were not surprised that inner work life had an effect on creativity, because my earlier work on motivation suggested that it would, as did the neuroscience. The magnitude of the effect was somewhat surprising, but even more surprising was that the impact of inner work life on one day could actually carry over to the following day, even when inner work life on that day was taken into account. VB: Would you talk about your finding that intrinsic motivation is more conducive to creativity than extrinsic motivation? Steven Kramer: When people are intrinsically motivated, they are driven by a passion for the work itself. Because of their passion they are willing to explore the problem deeply and persist until they find a creative solution that satisfies them. When people are driven primarily by extrinsic motivators such as rewards or pay, their main goal is to simply get that reward. As a result, they will look for the quickest and simplest solution that will get them the reward they seek, rather than the best and most creative one. VB: The research underlying your conclusions in The Progress Principle included a number of data collection methods, such as a sample of 238 employees working in various sizes of teams, in 7 different companies, who provided insights at the end of each work day, monthly individual assessments, and a final project assessment – resulting, for example, in 11,637 completed daily questionnaires. When did you begin working on this large research project, and was it as large a research effort as it appears? Steven Kramer: Yes. In fact, we sometimes wonder whether we would have embarked on this research had we known how difficult it would turn out to be. We began planning the study fifteen years ago, and then collected data for a number of years. However, the biggest task was analyzing all the data we had. Our key data was an open-ended question asking participants to describe an event that stood out in their minds and was relevant to the work that day. This gave us the nearly 12,000 diaries that we had to carefully read and analyze. It was a major undertaking which we could not have accomplished without the help of a small army of research assistants, graduate students, the Harvard Business School Department of Research, and of course, the 238 participants who gave so much of their time and themselves to this research. VB: Would you tell us about your experiences when you realized your research was going to result in significant and new insights into "the inner work life effect?" Steven Kramer: This is an interesting question. I don't think there was a moment of realization. Like any difficult project – whether academic research or the commercial work that our participants did – there were many ups and downs, and our understanding of inner work life and the progress principle came slowly. What I can say is that the reception that the book has received thus far has been extraordinarily gratifying. We believe strongly that our ideas can help make organizations better places for people to work and more successful at the same time. But to do that, we must get the word out, and we are beginning to do that with the help of venues like this. So, thank you, IdeaConnection, for supporting our progress in this way and helping to boost our inner work lives. VB: Does the 'progress principle' – making progress in meaningful work – provide the secrets for achieving blockbuster performances by employees, and being an organization employees want to work for? Steven Kramer: There is no one secret to creating a high performance organization where people are truly engaged in their work and are satisfied. Rather, I would say that the progress principle is one very important component in creating such an organization. To be successful, organizations must have great strategy, make financially sound decisions, hire the right people, and do all the other things that are traditionally taught in business schools and business books. But if you do all those things right, and fail to support the progress of the people that you hire to do the work of the organization, you are destined for mediocrity or failure. The progress principle was derived directly from our data. It states that the single most important thing that can fuel inner work life is simply making progress in meaningful work. This is true whether the progress is a major breakthrough or just a small, incremental step forward – a small win. So while the traditional notions of managing people are important, we believe that managers have another key role, which is managing for progress. This means that managers must provide the resources and help that people need to succeed. People can only do their best work when they have great inner work life, and are given the resources and help that they need to succeed. Take a look "Fortune Magazine's Best Companies to Work For." They may do it in different ways, but most focus on supporting their people and their work. VB: "Negative events are more powerful than positive events, all else being equal." Would you talk about this? Teresa Amabile: We found three classes of events that positively, influence inner work life. The first is simply making progress in meaningful work. The second are what we refer to as catalysts. These are actions that directly support progress in the work and consequently support inner work life. These include things like providing sufficient resources. Finally, there are nourishers which directly support inner work life and include such things as showing respect or recognition. The opposites of progress, catalysts and nourishers are setbacks, inhibitors and toxins, respectively. Each of these negatively impacts inner work life either directly or indirectly. Unfortunately, our data show that the negative effects of setbacks, inhibitors and toxins are 2 to 3 times greater than the positive effects of progress, catalysts and nourishers. Other psychologists have made similar findings in recent years suggesting a general principle that bad is more powerful than good. This has important implications for managers. As important as it is to support progress and inner work life, it is even more important to remove obstacles, hassles and toxins that can diminish inner work life. VB: When talking about the nourishment factor, which is one of the three influences on inner work life, you say that at work everyone craves human connection. How does this contribute to a positive inner work life? Teresa Amabile: People are by nature social animals. As such the human connection is critical to our psychological well-being. Feeling that connection not only makes work more pleasant, it improves performance. First, if we care about the people we work with, and they care about us, then we are more likely to help each other and to collaborate effectively. Second, caring about our colleagues increases motivation because we want to succeed for them as well as for ourselves. VB: Your survey of 669 managers at all levels from team leaders to CEOs, selected from various executive education programs and alumni of top business schools, revealed that only 5% thought demonstrating support for making progress was the most important way to motivate employees. Do you think this lack of awareness is because most managers are focusing only on what you call the 'observable work life'? Steven Kramer: As you suggest, it may be in part because inner work life is not observable. But what the progress principle shows is that you don't need to be a psychologist and delve into the inner work lives of your workers. In fact, in many cases that would be intrusive and counterproductive. What managers really need to do is focus on 'observable' progress in the work. If they can create work environments that support progress, and recognize and celebrate that progress with their people, they will go a very long way towards fueling inner work life. Of course, providing emotional support is one of our nourishers. So, if a manager learns that someone has a personal problem or a professional challenge he should certainly offer support. But managers do need to be careful not to intrude too much into the personal lives of people unless they are encouraged by the person to do so. VB: Do you know why the 5% who ranked the importance of support for making progress as being the most important motivator understood this aspect of human behavior? Steven Kramer: We don't really know why so few managers understand the importance of supporting progress as a motivator. It may be in part because inner work life can't be observed, and so it is hard for managers to know which of their actions impact it the most. No doubt the emphasis on incentive systems and the like in business education also carries some of the blame. VB: "…few things can nurture inner work life as much as being successful." Did your research suggest that often employees have difficulty knowing if they have made progress each day? Teresa Amabile: For the most part, no. In fact, the only progress that we know about is that which research participants described in their daily diary form. But often even they seemed unaware of the impact that progress, particularly incremental progress, had on their own inner work lives. While in some cases they told us in their diaries that they felt good or motivated because of the progress they made, in many cases we only know about how their inner work life was affected because we also collected daily ratings of their inner work lives. It often appeared as if they did not make the connection between the two. VB: Would you talk about the power of small wins and losses? Teresa Amabile: Seemingly minor progress incidents, incremental steps forward can have a major positive impact on inner work life and the ultimate success of a project. "Small losses" are equally important – maybe more important. These seemingly minor setbacks, incremental steps backward, can have a major negative impact on inner work life and the ultimate failure of a project. In general, small events can have a surprisingly large impact on inner work life. Overall, 28% of events that had a small impact on the project had a major impact on people's inner work life. We borrowed this term from the great organizational psychologist Karl Weick, who wrote a paper called "Small Wins" in The American Psychologist in 1981. In this seminal paper, Weick argued that social problems could be tackled in more innovative ways if they could be approached successfully on a small scale initially. VB: "Because negative events pack a stronger punch than positive ones, a hostile organizational climate will have its way in the end." Does this suggest that employees and even mid-level managers in such organizations should seek employment elsewhere? Teresa Amabile: Of course, finding a friendlier work place is one solution if there is one available. However, people have many reasons for working at a job, and often feel that they can't or do not want to leave. That said, I believe strongly that work should be a positive force in a person's life, and not a misery. Even if one is in a position that is less than ideal, there are things they can do to try to make the situation more positive for themselves. First, if leaders are not providing clear meaning for the work, try to create your own. What is the value of the work you are doing? For instance, you can decide that you care about your customers and that your goal is to provide them the best product or service that you can. Once you understand the value of the work to yourself, try to protect time each day to make progress on that goal. Then at the end of the day reflect on the progress you made and celebrate it. You can also commit yourself to helping your colleagues succeed. This will improve the work environment for them, and they may well begin to reciprocate and support you as well. VB: Should the daily progress checklist provided in The Progress Principle, be used by every employee in every organization? Teresa Amabile: The daily progress checklist was designed to be used by managers. However, we think that everyone in an organization can benefit by adapting it to their own needs. The key is to develop an attitude of attention to daily progress. By doing so, you can see what is helping you make progress, and what is hindering progress. With that knowledge you can be more successful and productive. But as important, as you become more aware of your progress, you will begin to feel a greater sense of accomplishment which will fuel all aspects of you inner work life. Keeping a personal journal is also an excellent way to become more aware of your progress and how work is impacting your own life both positively and negatively. VB: What key messages, resulting from your research, would most help managers who want to increase the creativity and productivity of employees? Steven Kramer: Make sure that the work people are doing has real value, and that they understand how their work contributes to that value. Then support them with catalysts and nourishers so that they can succeed for themselves and for the organization. VB: Have you been surprised by the large amount of interest your findings have generated beyond the academic community – with business people and other people interested in creativity and innovation? Teresa Amabile: Our goal was to impact business people, so we are more pleased than surprised. The progress principle works for us too, and the final step in our progress is to have our work make an impact on organizations because only then will its value be manifest. VB: Do you have any other advice for our readers about how to use small wins to ignite joy, engagement, and creativity at work? Teresa Amabile: Absolutely. Big, audacious, hairy goals have their place. They provide a mission, direction, and meaning to work. And they are great when you achieve them. By their nature, big goals cannot be achieved often. Completing our book gave us a tremendous sense of accomplishment. We spent five years writing the book and that doesn't count all the time doing the research behind it. Had we had to wait until the book was published to feel progress, we never would have finished it. The same is true of other audacious goals. But because small wins can fuel inner work life too, we can take advantage of this. If we break down very large tasks into smaller ones we can make real progress, and feel a sense of accomplishment regularly. This will fuel inner work life, creativity and productivity. VB: Are you working on your next major research project? Steven Kramer: We will continue to analyze the treasure trove of data from our study, but we have also begun some research. One study is focusing on a specific catalyst, helping, and how it impacts creative teams. We are also beginning to look more systematically at the best ways to implement a progress checklist. VB: Thank you for taking the time to talk to us about your significant research findings about managing for progress. Authors Teressa Amabile and Steven Kramer provide compelling insights about what motivates employees to perform at their best. They found that overall the more positive a person's mood the more creative thinking the person did on that day – coming up with or searching for an idea, solving a problem, and engaging in problem solving. A positive mood can be triggered by progress, which the authors' research found to be a 'prominent differentiator'. "This is one of the most important findings of our entire study: that making headway on meaningful work brightens inner work life and boosts long-term performance." (Page 68, The Progress Principle). Two other factors play key roles as well – catalysts which are events that support the work (setting clear goals, allowing autonomy, providing resources, providing sufficient time, helping with the work, learning from problems and successes, and allowing ideas to flow), and nourishers which are events supporting the person (respect, encouragement, emotional support, and affiliation). A negative mood day is caused by 'setbacks' or negative work events. The authors' research found that this connection is about 5 times stronger than the connection between positive mood and positive events. The advice for leaders and managers is to reduce 'daily hassles' and to ensure they are not the source of obstacles. The authors also provide sound advice to leaders about how to tend to their own inner work life. This is a must read. 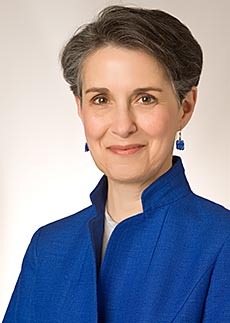 Teresa Amabile is the Edsel Bryant Ford Professor of Business Administration and a Director of Research at Harvard Business School. Originally educated as a chemist, she received her doctorate in psychology from Stanford University in 1977. Theresa Amabile studies how everyday life inside organizations can influence people and their performance. Her research encompasses creativity, productivity, innovation, and inner work life – the confluence of emotions, perceptions, and motivation that people experience as they react to events at work. Teresa Amabile's most recent discoveries appear in her book, The Progress Principle: Using Small Wins to Ignite Joy, Engagement, and Creativity at Work (Harvard Business Review Press, 2011). The book, based on research into over 12,000 daily diary entries from over 200 professionals inside organizations, illuminates how everyday events at work can impact employee engagement and creative productivity. The book is co-authored with her husband and collaborator, Steven Kramer, Ph.D. Theresa Amabile's other books include Creativity in Context: Update to the Social Psychology of Creativity (1996) and Growing Up Creative: Nurturing a Lifetime of Creativity (1992). She has used insights from her research in working with various groups in business, government, and education, including Procter & Gamble, Novartis International AG, Motorola, IDEO, and the Creative Education Foundation. She has presented her theories, research results, and practical implications in dozens of forums, including the World Economic Forum in Davos, the Young Presidents' Organization annual university, and the Front End of Innovation annual conference. Theresa Amabile is also the author of over 150 scholarly papers, chapters, case studies, and presentations. Her papers include: "Creativity" (Annual Review of Psychology), "Assessing the Work Environment for Creativity" (Academy of Management Journal); "Changes in the Work Environment for Creativity during Downsizing" (Academy of Management Journal); "Leader Behaviors and the Work Environment for Creativity: Perceived Leader Support" (Leadership Quarterly); and "Affect and Creativity at Work" (Administrative Science Quarterly). She has also published several articles in Harvard Business Review. Steven Kramer is an independent researcher and writer in Wayland, Massachusetts. He received his undergraduate degree in psychology from UCLA, and his doctorate in developmental psychology from the University of Virginia. 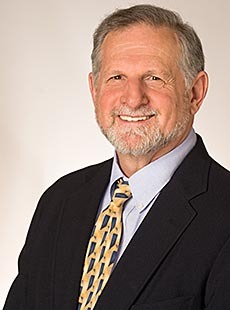 Steven Kramer's current research interests include adult development, the meaning of work in human life, and the subjective experience of everyday events inside organizations (inner work life). Previously, he researched the perceptual and cognitive development of infants and young children. Steven Kramer is the co-author with his wife and collaborator, Teresa Amabile, of The Progress Principle: Using Small Wins to Ignite Joy, Engagement, and Creativity at Work (2011). He has published several articles in the Harvard Business Review on topics including inner work life, managerial awareness of work motivators, and the influence of time pressure on creativity. He has also published in the Academy of Management Journal and The Leadership Quarterly.